When mending your smile, you can trust Montevallo Family Dentistry to use materials that replicate your natural tooth structure in form, function and aesthetics. When it comes to dental fillings, we are proud to offer composite resin, a tooth-colored filling material that ensures your tooth decay or tooth damage is repaired in a seamless manner. Dr. Shunnarah is a skilled family dentist that offers a full range of restorative and cosmetic services to patients of all ages. When it comes to composite fillings, restorative dentistry and cosmetic dentistry go hand in hand. If you have a tooth (or multiple teeth) that have become damaged due to decay or trauma, a composite filling can restore it. This filling choice is long lasting and ideal for teeth that are visible when you smile. Its ability to fill in a cavity as well as repair minor flaws makes composite resin a highly versatile solution in modern dentistry. At Montevallo Family Dentistry, we value the importance of offering the most advanced dental treatments available, but we never forget to protect your comfort at every step. Enjoy an office environment that feels like home and a dental staff that treats you like family. Composite resin is a unique plastic and glass mixture that matches the shade of your natural teeth. This tooth-colored material offers blended aesthetics, improved durability and valued patient safety compared to its metal filling alternative. 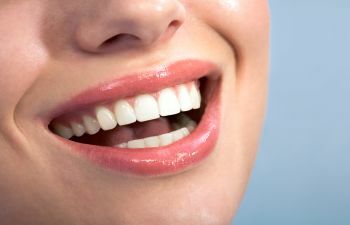 Cosmetically, composite fillings can be used to change the color of a tooth, alter its shape, or close in a minor gap. It represents a cost-effective and simple procedure in cosmetic dentistry, but one that can make a dramatic difference in your smile appearance. During your composite resin appointment, Dr. Shunnarah will clean and dry your tooth to prepare it for filling placement. The filling material is gently applied to the affected tooth, hardened with a special curing light and then sculpted to its ideal shape and form. To prevent premature wear and staining, we will polish the tooth as a final step. To learn more about the benefits of white composite fillings, please contact Montevallo Family Dentistry today. We have a mission to better your smile in the most comfortable and convenient way possible.